When you need to upgrade Honeywell VISTA® panels, now there’s a dual alarm communicator that can make it easy for you. 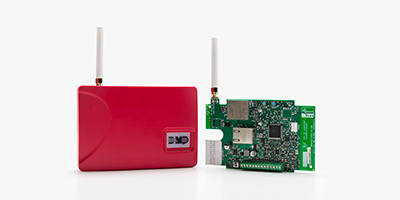 DMP’s new DualCom Dual Alarm Communicator can be connected to a Vista series ECP bus, and with Remote Link™ Version 1.92 you can program the Honeywell panel remotely using the Compass® downloading software. The new DualCom Series includes both fire and non-fire options. Each module has built-in LTE cellular backup that provides a fully supervised alarm communication path over AT&T’s or Verizon’s LTE Networks. 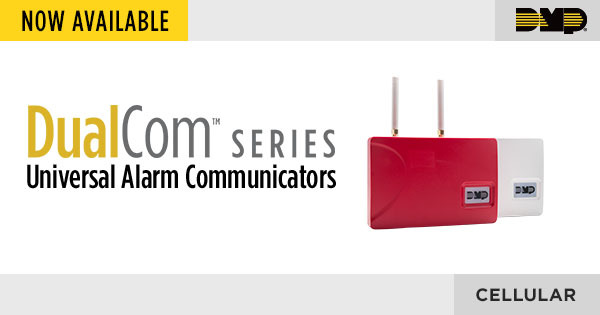 As with earlier-generation products, the LTE communicators are designed to work with digital cellular service from SecureCom Wireless™ – enabling dealers to get systems up and running quickly. For commercial fire or residential fire installations, the DualComNF features primary network communication, secondary cellular communication, and two sets of tip and ring terminals. It meets the NFPA 72 standard for single communications technology. For instance, if a customer’s router fails, and the DualComNF stops communicating, it’s designed to automatically disrupt voltage on the second tip and ring — that triggers the host panel to annunciate the trouble. 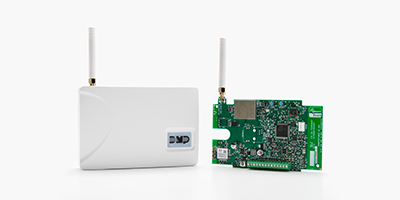 For non-fire residential or commercial installations, DualComWZ standard module features built-in primary Wi-Fi communication, secondary cellular communication, Z-Wave integration, and one set of tip and ring terminals. Now, check-in and fail times can be set in Dealer Admin for the new DualCom models and existing CellComs. More information is available in the DualCom Programming and Installation Guide (LT-1859). For pricing information, please log in to Buy.DMP.com to view the Latest Price Notifications and Updates. For questions or more information, please contact one of our Inside Sales representatives at InsideSales@DMP.com or 877-757-4367 or one of our Tech Support technicians at TechSupport@DMP.com or 888-4-DMP-TEC (888-436-7832).